In 1567, baby Aphra is found among the reeds and rushes by two outcast witches. Even as an infant, her gifts in the dark craft are clear. But when her guardians succumb to an angry mob, Aphra is left to fend for herself. 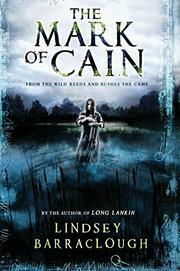 She is shunned and feared by all but one man, the leper known as Long Lankin. Hounded and ostracized, the two find solace only in each other, but even this respite is doomed, and Aphra’s bitterness poisons her entire being. Afflicted with leprosy, tortured and about to be burned as a witch, she manages one final enchantment—a curse on her tormentor’s heirs. Now, in 1962, Cora and Mimi, the last of a cursed line, are trapped in an ancient home on a crumbling estate in deepest winter, menaced by a spirit bent on revenge. Are their lives and souls forfeit forever? 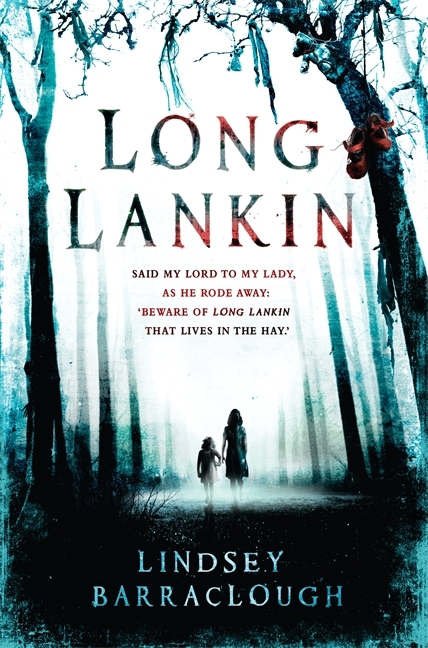 A spine-chilling companion to Long Lankin, here is the story of a wronged witch’s revenge, spanning generations and crossing the shadowy line between life and death. “Cora, Mimi, and Roger are back—back at Bryers Guerdon and in for another dose of mysterious, creeping horror in Barraclough’s follow-up to Long Lankin (2012). Four years after the defeat of the centuries-old monster Cain Lankin, Cora and Mimi’s dad has finally gotten them their inheritance: Auntie Ida’s ramshackle mansion, their ancestral home. He’s moved the girls and his girlfriend in before taking off back to what seems to be a life of petty crime. But nearly 400 years earlier, the witch Aphra Rushes cursed the Guerdons, and the return of the girls, the last of the family line, has awakened her malevolent spirit. Barraclough’s writing crackles with tension, horror eked out amid dozens of period details vividly evoking rural 1960s England. Cora, now 15, is again the main character, sharing first-person narration with Aphra’s spirit (whose back story fills the first 70 pages) and still-stalwart Roger. A true sequel, written for the already initiated, this never truly recaps the first volume but instead builds on it, even acknowledging the way the experience with Cain Lankin changed the children, particularly Mimi and Pete, Roger’s nightmare-plagued brother. Convenient adults with stores of mystical knowledge and some inconsistencies of pacing can’t detract from the creeping need to stay up all night hoping for a happy end. When Cora and her younger sister, Mimi, are sent to stay with their elderly aunt in the isolated village of Byers Guerdon, they receive a less-than-warm welcome. Auntie Ida is eccentric and rigid, and the girls are desperate to go back to London. But what they don’t know is that their aunt’s life was devastated the last time two young sisters were at Guerdon Hall, and she is determined to protect her nieces from an evil that has lain hidden for years. Along with Roger and Peter, two village boys, Cora must uncover the horrifying truth that has held Bryers Guerdon in its dark grip for centuries — before it’s too late for little Mimi. Riveting and intensely atmospheric, this stunning debut will hold readers in its spell long after the last page is turned. In an exquisitely chilling debut novel, four children unravel the mystery of a family curse — and a ghostly creature known in folklore as Long Lankin.